CORE Summer League Championship Victory! Dennis & I played in the CORE Summer League with an ultimate team called Victorious Secret. Get it? Yep, our colors were pink & black. We dominated the field, with exception of one or two teams. It was fun to actually win a tournament, I had never done that before. Amazingly, Dennis was on a winning team for a *different* league the very next day! Two victories in one weekend. Wow! 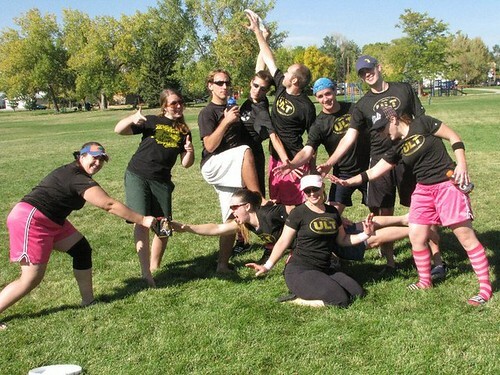 This entry was posted on Saturday, October 16th, 2010 at 5:31 pm and is filed under Ultimate Frisbee. You can follow any responses to this entry through the RSS 2.0 feed. Both comments and pings are currently closed.